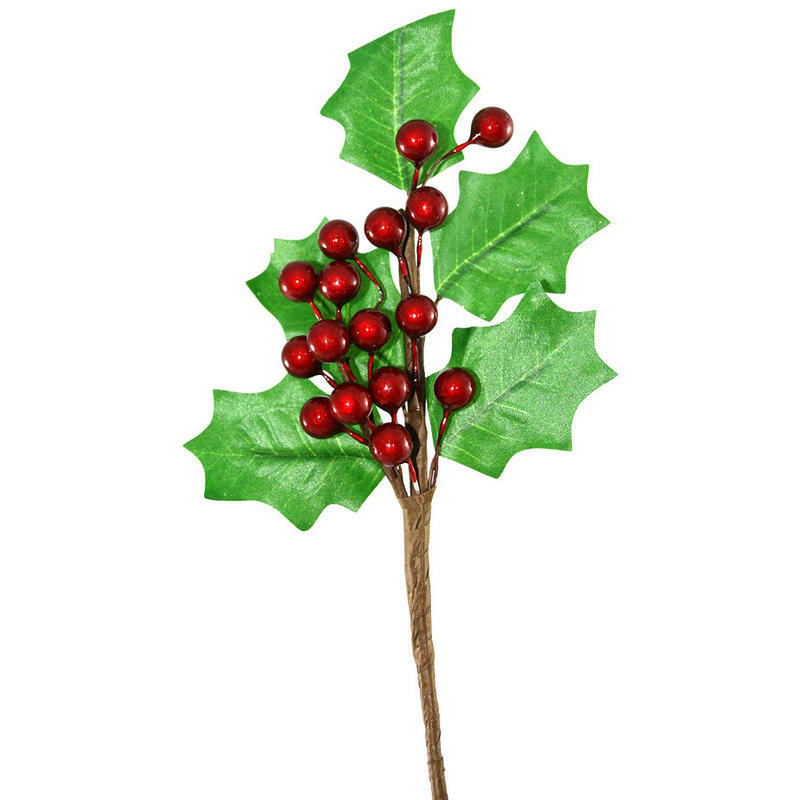 The 23cm Holly Branch is one of those accents that you simply cannot have enough of. Each of these wonderfully-convenient 10cm wide by 23cm high picks is just as easy to use as they are stunning to behold. These are a perfect go-to item for crafting enthusiasts or those taking-on holiday projects. 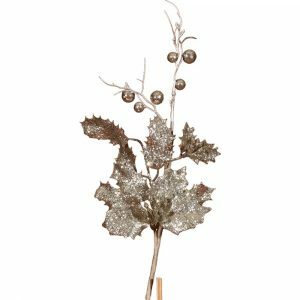 These add a splendid touch of rich green holly and bright red berries to arrangements, centrepieces, wreaths, swags- and even your Christmas tree. 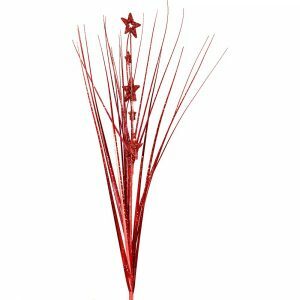 The brown wrapped wire stem bends and moulds to wherever you need it to be. 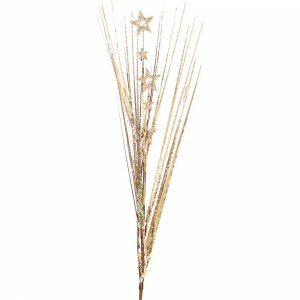 These are so authentic looking, yet can be used year after year, making them an economical investment for your holiday decor and crafting supplies. 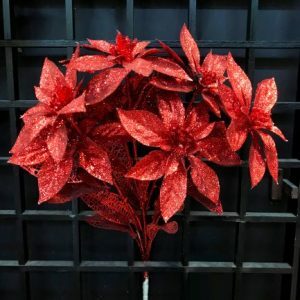 These bring a distinctly holiday flavour to even the simplest items- for example, try adding a pick or two to a simple bouquet of fresh flowers from your grocery store or floral market. They become even more beautiful and with a holiday theme!